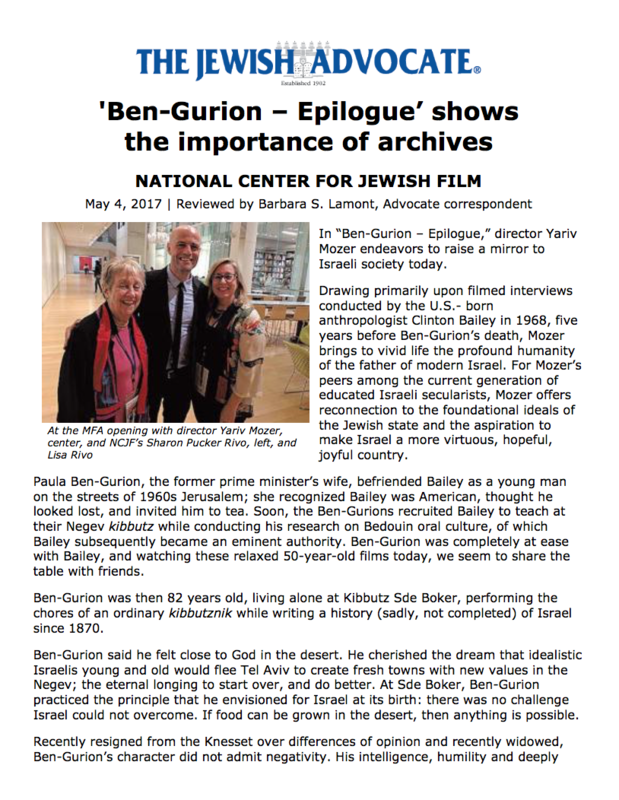 In â€œBen-Gurion â€“ Epilogue,â€� director Yariv Mozer endeavors to raise a mirror to Israeli society today. 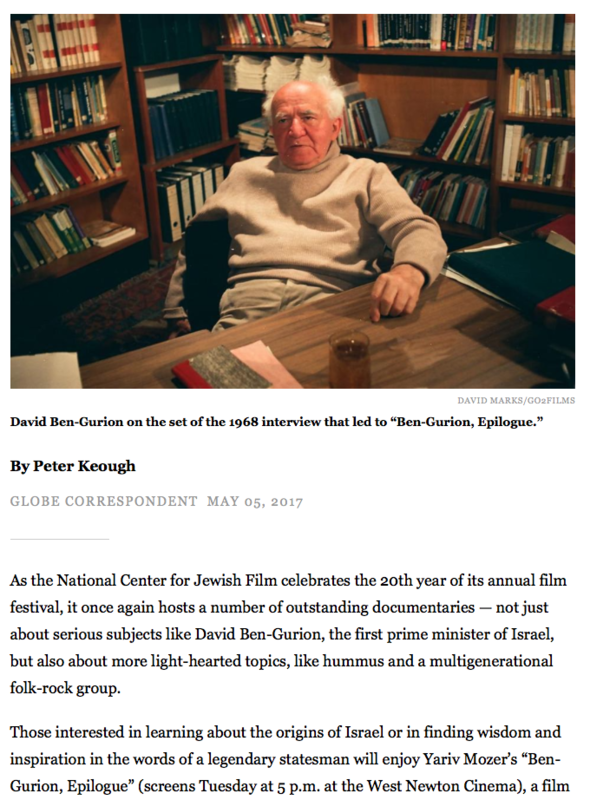 Drawing primarily upon filmed interviews conducted by the U.S.- born anthropologist Clinton Bailey in 1968, five years before Ben-Gurionâ€™s death, Mozer brings to vivid life the profound humanity of the father of modern Israel. For Mozerâ€™s peers among the current generation of educated Israeli secularists, Mozer offers reconnection to the foundational ideals of the Jewish state and the aspiration to make Israel a more virtuous, hopeful, joyful country. 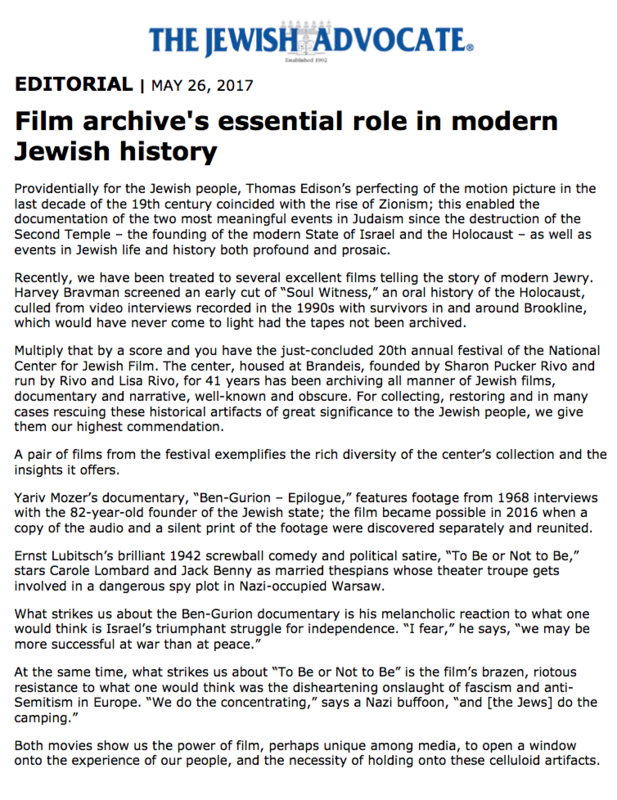 Providentially for the Jewish people, Thomas Edisonâ€™s perfecting of the motion picture in the last decade of the 19th century coincided with the rise of Zionism; this enabled the documentation of the two most meaningful events in Judaism since the destruction of the Second Temple â€“ the founding of the modern State of Israel and the Holocaust â€“ as well as events in Jewish life and history both profound and prosaic. 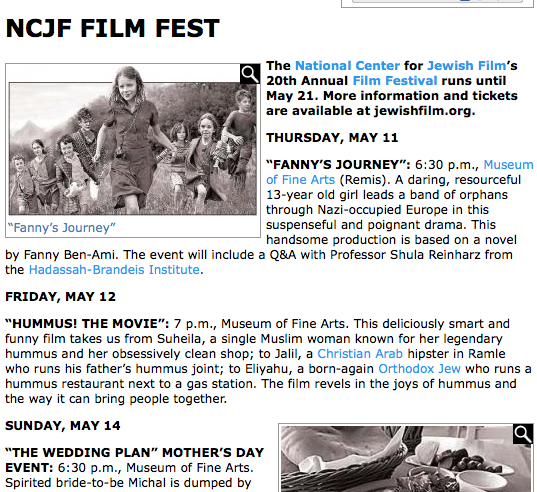 The Museum of Fine Arts wrapped up The National Center for Jewish Filmâ€™s 20th Annual Film Festival this weekend. 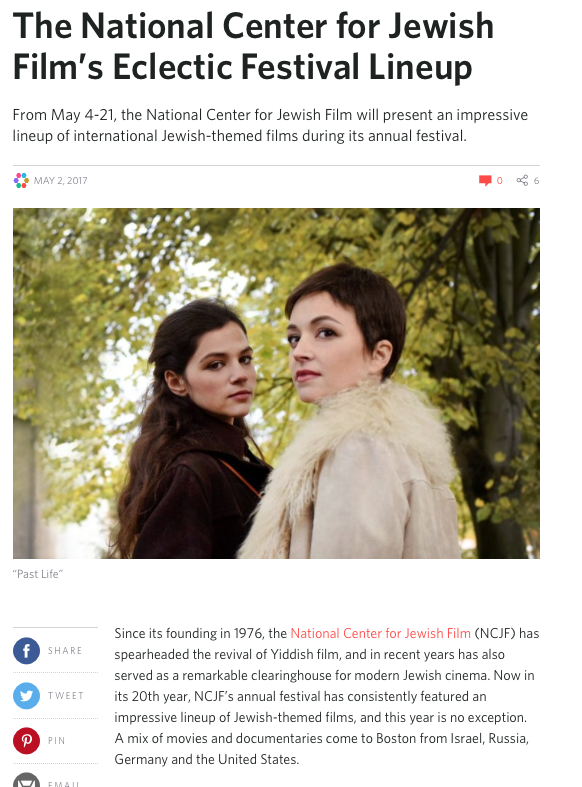 The festival introduced new independent films and restored classics from around the world with visiting filmmakers and scholars attending many screenings. 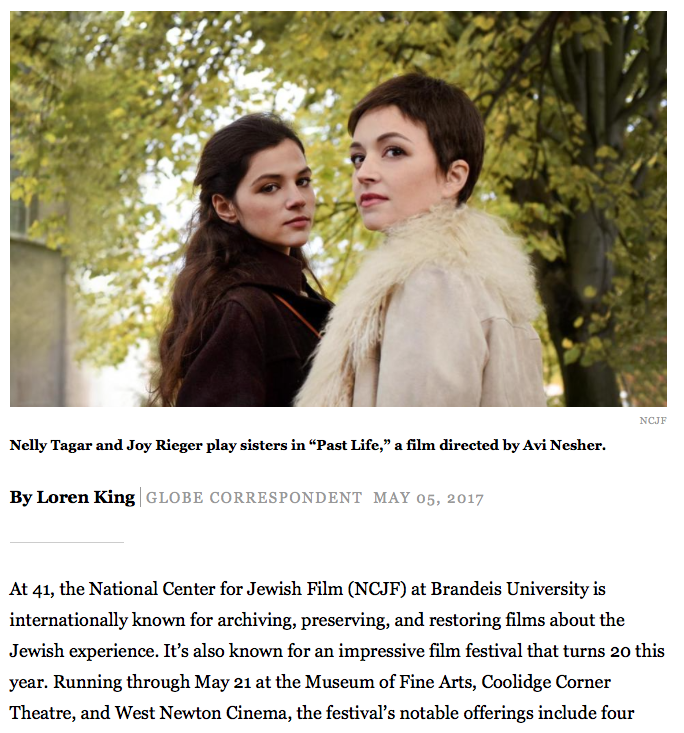 This yearâ€™s festival included Avi Nesherâ€™s film Past Life, which tracks the late 1970s odyssey of two sisters, an introverted classical musician and a rambunctious scandal sheet journalist, as they unravel a wartime mystery that has cast a dark shadow on their lives.